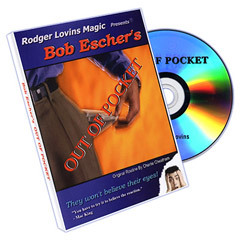 The performer pulls his pants pocket inside out. He tells the spectators that, when he was young, his mother would sew his pockets with invisible thread. He pretends to thread a needle and sew his pocket. As he does this, the pocket is seen to rise up without any visible means whatsoever! You must see this one! Full routine and instructions on DVD.